Please join us for a community science event moderated by Thomas Frazier, Ph. D., Autism Speaks Chief Science Officer. 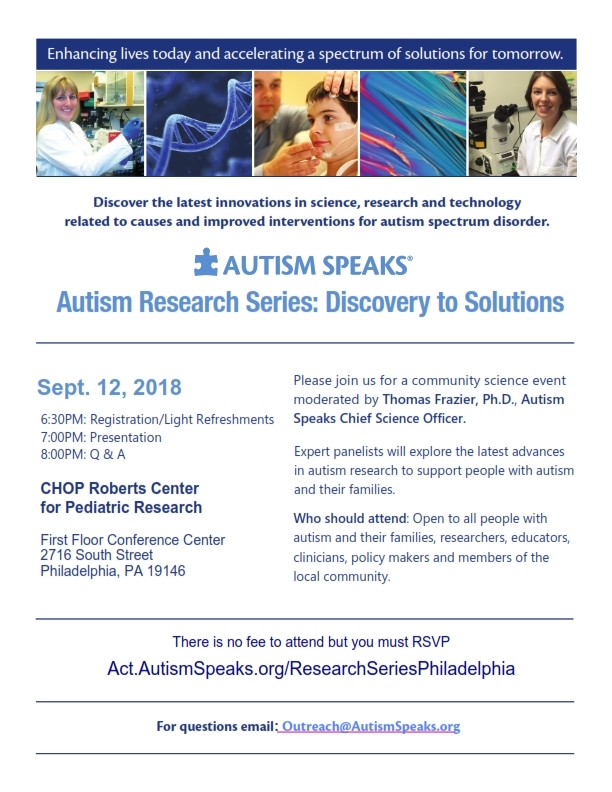 Open to all, including people with autism and theirfamilies, researchers, educators, clinicians, policy makers, andmembers of the local community. This is a free event but you must register. Click Here. © 2005 - 2019 Autism Speaks Inc. Autism Speaks and Autism Speaks Design are registered trademarks owned by Autism Speaks Inc. All rights reserved.